I recently made an oven version of mushroom risotto. It was good, but not perfect, so I’ll work to perfect the timing before I post it. One thing that kind of stood out, however, was that the flavor wasn’t as round as usual. The only difference, other than the cooking technique? I used store bought stock. I know, I know, this happened just weeks after taking a picture of my stock-filled freezer, but one batch of soup depleted my chicken stock. I was out, so I purchased the stock I used to rely on. Do I believe it made the difference? Yes, I do. I bought my favorite cheese (and taste-tested it, of course) and my usual assortment of mushrooms…I even used better quality, more flavorful butter than in the past. In the past, a friend and I would split the cost of stock ingredients, and we’d both have a pot of stock simmering away in our kitchens. But really, that’s not necessary. 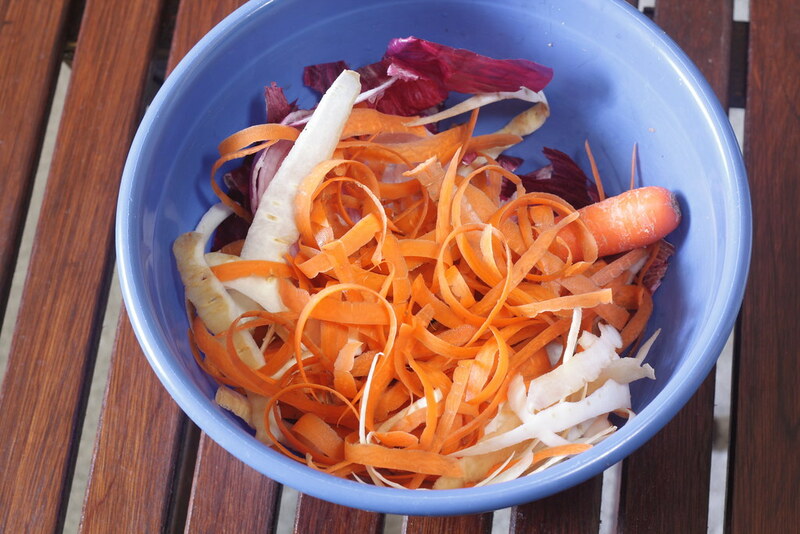 I recently made a conscious effort to save peelings from carrots, parsnips, celery, and onions. 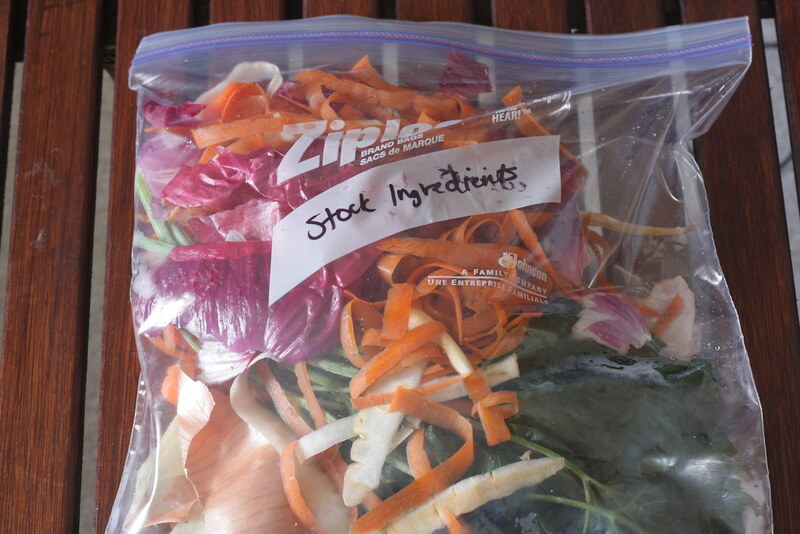 When I cut more parsley than I needed, the extras went into the stock bag in my freezer (the writing on the bag smeared slightly, but it’s still obvious what’s in there). Anytime I didn’t use all of the thyme I purchased, into the stock bag it went. I do still buy dill specifically for stock, but after throwing one sprig into the stock pot, the rest goes into my stock bag. This time, we aren’t transforming leftovers, we’re taking the scraps that most people throw away, and turning them into homemade goodness – essentially for free. Even if you don’t cook much with stock, freeze it for the winter and turn it into chicken soup when you don’t feel well, want a simple meal, of have leftover chicken to use up. site you already have or choose a free site for your purposes.